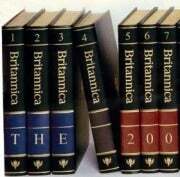 Britannica will discontinue the 32-volume printed edition of the encyclopedia when the current inventory is gone. Britannica Online will also be free to access in full for a week, in a bid to showcase its content against Wikipedia, which has been gradually accepted as an accurate and comprehensive source by an increasing number of scholars and academics alike. Microsoft shuttered its digital multimedia encyclopedia, Encarta, in 2009, and the last trace of it, the online dictionary, closed last year. Encarta, though a digital product, was also made obsolete by Wikipedia’s free availability, constantly updated content and thousands of editors, contributors and volunteers from around the world. With the print edition outdated the moment it was printed, Britannica is approaching a Wikipedia-like model when it comes to taking collaborations from contributors online. For many articles, you can submit images, videos or audio clips, but it’s still not to the scale of Wikipedia, where anyone can contribute to an article (contributions are vetted by a very complex system of volunteer editors). Wikipedia’s style of collaboration can lead to inaccurate information though, and this is why the crowd-sourced encyclopedia is being knocked by the likes of Britannica. But there are no recent relevant studies showing that Britannica is more accurate than Wikipedia, besides research in 2005 by the journal Nature that found Wikipedia’s scientific articles had a similar rate of serious errors to Britannica.